If you’ve been working to transition to “clean” products or are interested in learning more about transitioning to clean beauty, this weekend is the time! The leader in clean beauty, Credo Beauty, is treating customers to 20% off through Sunday! Shop your favorite clean beauty brands such as RMS Beauty, Ursa Major, and more. Have a not-so-clean product you can’t live without? Bring it to the experts at Credo and they will work to help you find a product that’s just as effective without parabens, sulfates, synthetic fragrances, and more. What are you waiting for? 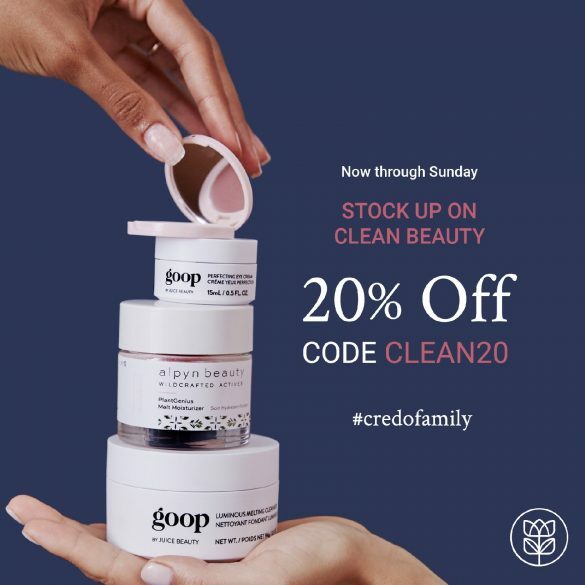 Stop by Credo Beauty at 177 Newbury Street– this sale runs through Sunday!